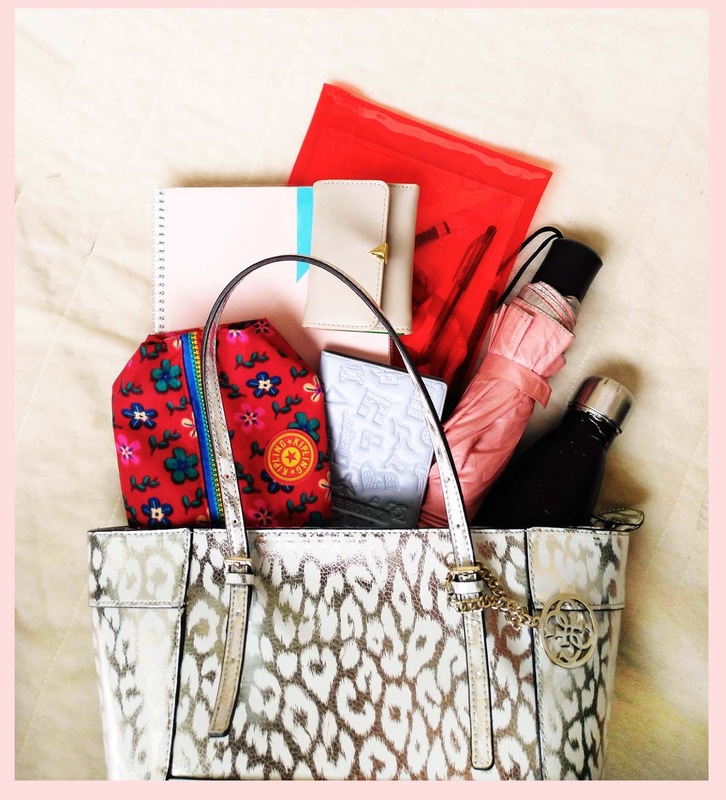 My weekday bag is usually filled to the brim. 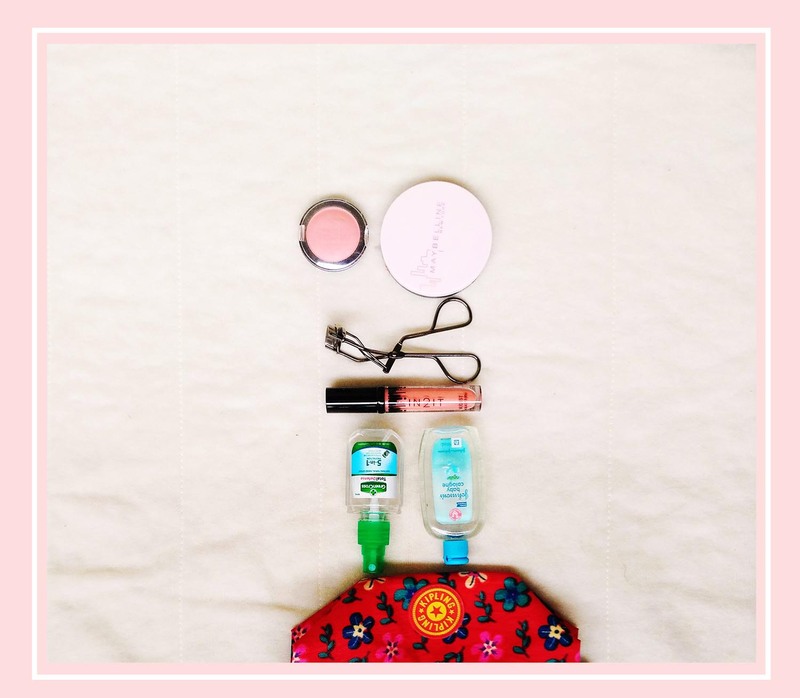 I may have become a full-blown tita in your eyes when I reveal that all these stuff are actually in my bag. But first, let's talk about my bag. 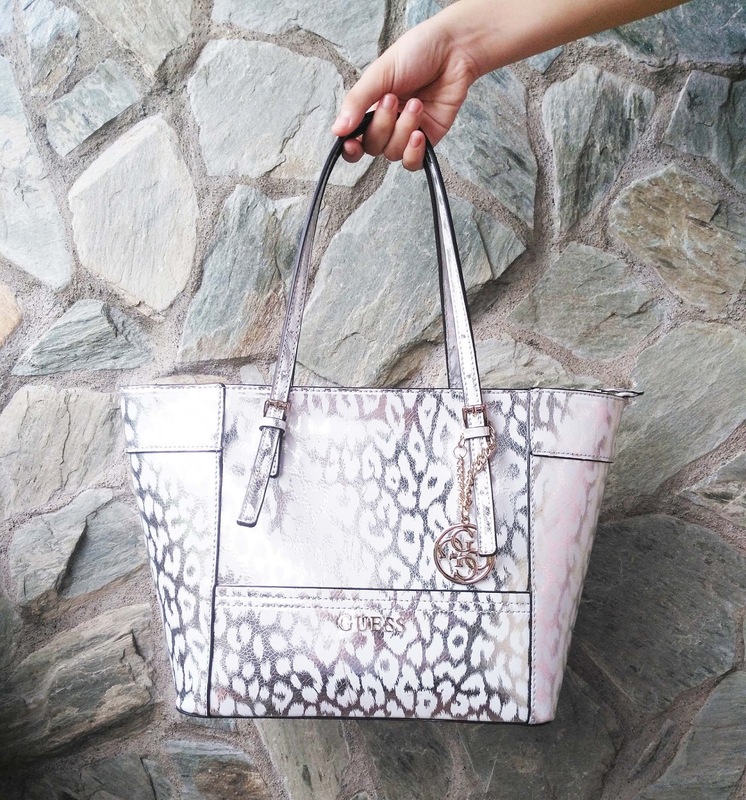 Currently, my favorite is this Guess tote in silver and white leopard print. 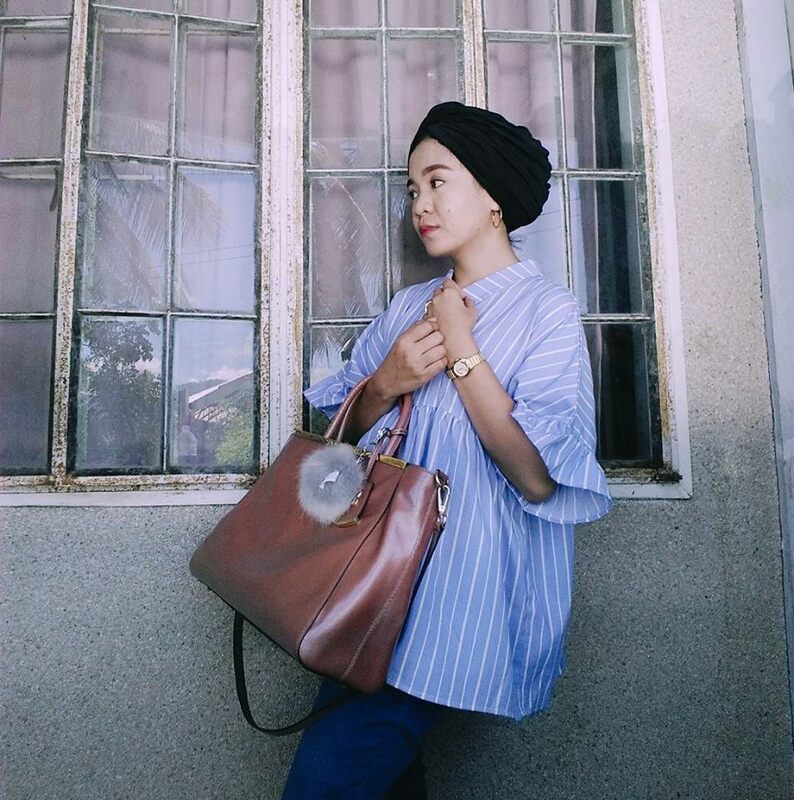 It is simple yet chic enough to be paired with my daily outfits. And the size is perfect to carry around my life in it. 1. Large notebook - I have returned to school, in case you are not aware. 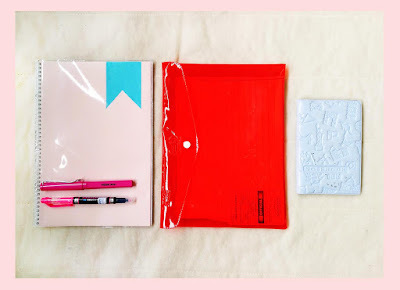 My notebooks are your regular university notebook but I have covered them with art paper for that girly minimalist look. 2. Plastic envelope - Where I keep my pens, small notebook for reminders, school ID, and a few pieces of yellow paper. 3. I always bring this small blue notebook with me for when I need to jot down something that shouldn't go to my course notebooks. 4. Tablet - I keep all my books (those that are free for downloads and scanned ones) in a tablet because I just can't deal with carrying real books around. 5. 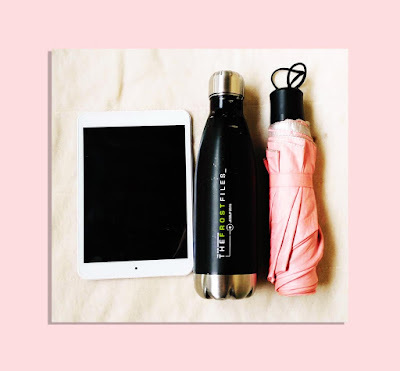 Water Bottle - This one I got from Rashid, a souvenir from his trip to the States when he competed for the prestigious Jessup 2016, a moot court competition. 6. Umbrella - It has to come in pink for matchy-matchy purposes. I feel like my tchotchkes are neater when they come in a few colors rather than when in a multitude. 7. 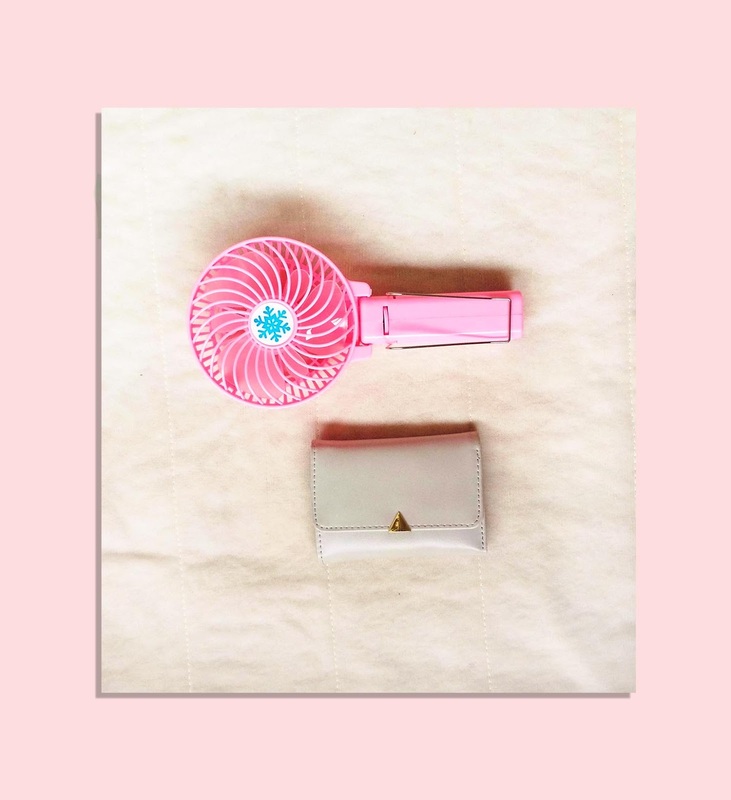 Portable Fan - Iligan is so init and humid, this one is for my survival. And if you know me personally, you'd know that when I sweat, my face sweats the most. Sorry, TMI. But alam mo yun, my makeup would melt right away within the first hour I'm out the door. 8. Wallet - I have a small wallet where I carry a few cards and small cash. I hate those bulky ones that fit everything. They add a ton of weight in my daily burden. I finish my makeup at home and do touch ups only on the face when needed.